After vacating the NXT Women's Championship, Asuka is officially headed to the Raw roster. The announcement was made on tonight's episode, with Corey Graves saying that Kurt Angle signed the hottest free agent in the industry. A video package hyping that Asuka would be coming to Raw soon aired, then Alexa Bliss and Nia Jax reacted to it in a backstage segment. Bliss expressed her disappointment about the news to Jax. She tried to patch up their friendship ahead of the fatal four-way Raw Women's title match at No Mercy, but Jax wasn't having it and informed Bliss that they'd be facing each other in a singles match next week. 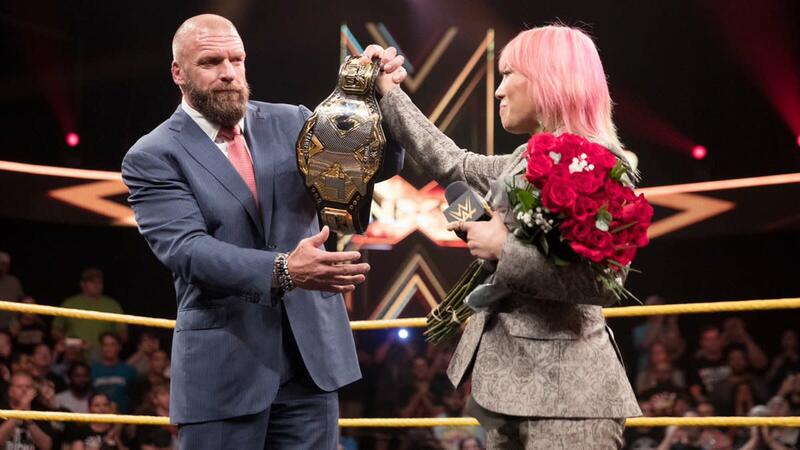 Asuka's 500-plus day reign as champion ended as she departed NXT by relinquishing the title in a segment that aired on last week's episode. She's coming to Raw undefeated and without ever losing the championship. WWE has yet to announce their plans for how the next NXT Women's Champion will be decided.